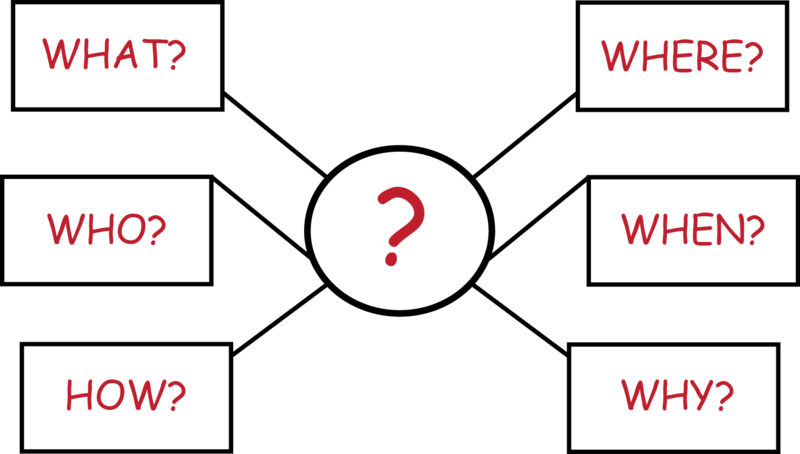 What is forecasting? Forecasting is a tool that many professional services firms use to help management make decisions based on past and current data trends. For professional services firms, forecasting starts with the analysis of the work that is yet to be performed and equating that to overall firm revenue. The revenue then becomes the basis for the accountant to project cash flows coming in, considering average day’s receivables, to drive what cash is available versus the cash required to cover current expenses. Without these forecasts, it makes it much more difficult for management to schedule, staff, plan or perform the work in production that is necessary without them sitting up in bed at night on a regular basis. So let’s break the process down into steps and then focus on the key benefits of what is forecasting. To properly track utilizations, it is important to establish two budgeted figures, target utilization and available utilization. Both should be established for every staff person and documented by employee in your system. Target Utilization is a function of the targeted billable hours over the standard hours in the work week. Available Utilization is a function of all available hours minus just the benefit hours. Next establish tracking of scheduled hours by employee, by week or whatever reporting interval provides management enough lead time to make good decisions about staffing and scheduling – this usually being about six to eight weeks out from the current date. Consider hours that are in your current proposals to clients. This is another reason to do pro-forma timelines with estimated start dates for the project pre-award. In addition, you will want to weight these proposals for likelihood of award. This will allow you a weighting of the hours to the overall scheduled time. On a weekly basis look at utilizations against the target, available, and awarded plus some weighted factor of pre-awarded after say 70% probability. One engineering firm we are working with used to post the labor utilization “curves” on their message board in their lunch room and it was measured against budgeted utilization for the year as a constant. This singular graph showed what the firm was projecting for scheduled utilization against target and available which kept staff cognizant of both the need to schedule fully. The graph also served as a tool for staff to promote billable hours against project deadlines. From this data, management was able to see the most important single factor for the firm, how far out they were scheduled, and if they needed to adjust staff or move project timelines to increase project throughput. 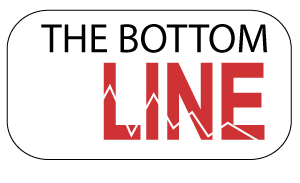 Since labor costs against labor revenue is the single most influential impact on a firm’s bottom line, forecasting in this way had this firm’s management sleeping better, while it also empowered the firm’s staff to keep an eye on utilization. Since this level of tracking was in place at this particular firm, it also allowed their senior financial person to produce informative forecasts of revenue, which in turn, promoted the morale of everyone in the firm. To note, when the firm had many proposals out with the results tracking per the graph above, and the firm had the ability to look at un-scheduled but awarded professional service hours as well, they knew when staffing could not meet the demand of the impending work and were able to stage clients expectation with delivery dates or let HR know that hiring was needed on the horizon. 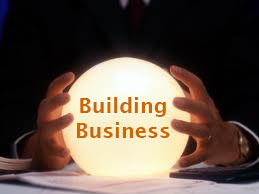 So, is your firm enabling forecasting to better win work and deploy resources? If not, after reading this blog do you recognize the importance of implementing forecasting at your firm? I would forecast that the answer is “yes”! For firms in the project-driven Professional Services industry, managing a defined set of tactical project management metrics is key to meeting strategic objectives. Although it might seem efficient to have a single indicator of project success that measures the firm’s profit growth — for example, project profitability — there are pitfalls with such an approach. A better solution is to measure across a finite and efficient set of indicators that together track whether the firm is meeting its objectives, whether the specific goal relates to market penetration, service offering penetration or key account growth. Project Management Metrics — collectively known as the Project Management KPI — fall into six major categories. One way to remember these categories is to use the acronym TRACQS. Is your project on TRACQS? Time - How is the project tracking against schedule plans? Keeping projects on schedule increases profit growth by lowering overhead and increasing labor margins. For example, when a project is off schedule and staff is reallocated it increases overhead to readjust the schedule may reduce realized utilization. Metric calculation: Schedule Performance Index (SPI) = Earned Value of the work performed ÷ Planned Value of the work performed (to date). Resources – Are we within anticipated limits of staff-hours spent? Using staff and labor multipliers as budgeted is essential to maintaining project margins. When evaluating which resources to use, it is sometimes argued to use a more skilled person that will use fewer hours than a less experienced person. The thought is the margin will ended up the same. However, when this decision is made business development and client relations to do the production work can result in the firm’s backlog and pipeline suffering. Budgeted versus Labor Multiplier Attained. Actions – Do we have action items outstanding or past due? It may seem obvious, but without a metric tracking action items (completed, missed, and planned), project performance cannot be corrected. Maintaining visibility and monitoring deliverables can increase client satisfaction and reduce inefficient cycles of “catching the project up”. 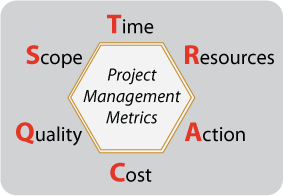 Metric calculation: Number of project collaboration tasks that are past due. Cost – How are we doing against the budget? Monitoring this project performance metric provides direct insight into a firm’s profit growth. Metric calculation: Cost Performance Index (CPI) = Budgeted Cost of the work performed ÷ Actual Cost of the work performed. Quality – Does client feedback indicate project success, or the need for correction? On a regular basis, survey clients about results and milestones, based on meeting the client’s expectations to the deliverables. There is little to no change that can affect the project, if you wait until the end of the project to conduct a survey, there is little to no change that can affect the project. A satisfied client results in more work (client retention), reference-ability (more clients) which are essential to firm growth. Metric calculation: A rating greater than X means quality, and anything less requires attention. client requested change orders and allow management to take corrective action when the scope creep is due to the firm’s lack of performance to the initial scope. Metric calculation: Comparing where planned exceeds baseline, and ensuring that original scope plus authorizations equal or exceed the estimate at completion. Clearly, a firm needs to have mechanisms in place to measure these project management metrics. Almost as important, however, is finding a way to indicate variance from expected (budgeted) results in an easy-to-reference graphical format — e.g., blue for good, red for bad. Doing so will ensure that staff, project managers, and executives are all on the same page for tracking firm growth and responding to any obstacles or problems that may appear. There are shelves and shelves full of books — actually, entire libraries — that offer insights into business process management. There is a simple reason for this: it’s one of the most fundamental and effective ways to improve firm growth. Are key policies and plans effective? Do results validate business strategy? Gaining insight into operational metrics you can’t currently see — such as work backlog, etc. How you conduct this type of self-examination depends on your goals, resources and desired return on expense/effort. For example, it could be highly focused, with internal staff looking at one particular process in one section of your organization. Or it could involve examining complex processes spanning several separate parts of the organization, which might require using an external consultant. To appreciate the impact of a business process evaluation, consider the case of one of our clients, Wiss, Janney, Elstner Associates (WJE), a 500-person firm based in Northbrook, Illinois. Along with the client’s initial concerns, our evaluation identified an inefficient paper-based process for initiating new projects that required anywhere from several hours to several days per project. Following our business process evaluation and implementation of a paperless process, (among other improvements), the client was able to reduce the required time to a few minutes per project. That efficiency gain, multiplied by the approximately 7,000 projects that WJE handles each year, resulted in $1.8 million annual savings, according to WJE’s Controller. There are other potential gains of a business process evaluation that are not directly tied to process efficiencies. For example, it can provide visibility to timely and accurate data that helps leadership make better business decisions. This was an additional gain from the project at WJE; principals were able to see clearly the potential conflicts of servicing a new client, allowing them to forego business development expenses and effort on a client that could not be serviced. Another example is gaining visibility into an organization’s work backlog — knowing exactly how much work is in the pipeline, and even more importantly, whether one has the staff on hand to do the work (and if not, specifically what type of staff are needed to fill the gaps). As a result, a firm can make better decisions about whom to hire (and when), and which projects to pursue. Evaluating ways to improve efficiency and effectiveness is an essential part of guiding an enterprise. Whether it’s performed internally in a very focused way, on a broader level by an external firm, or somewhere in between, it has the potential of allowing you to reexamine and reengineer your standard operating procedures and in turn, drive greater efficiency and visibility. Both capabilities are critical to consistently delivering value to your clients — and increasing profitability and firm growth. Interested in a business process evaluation? Contact us to begin the process. I was talking recently with a prospective client who observed that his firm had outgrown QuickBooks (QB). The conversation eventually led to a discussion of the advantages of ERP systems over back office accounting systems — which include not only efficiency gains, but strategic improvements as well. First, their QB systems were disconnected, so there was no particular place where management could view financial performance overall, let alone broken out by project manager or client. QB could display AR for a specific client, but offered little in the way of project information regarding specific services or deliverables. Last but not least, correspondence for each client was buried in various public folders on the firm’s file server. To make matters worse, the correspondence trail was incomplete due to users’ not following the correspondence logging protocol. After hearing these insights, plenty of examples came to mind of ways that even a small- to mid-size firm like his could benefit from an ERP system. I mentioned a few of the most basic advantages of ERP systems over back office accounting: the value of integrated data, open architecture and user customizations. I also pointed out that thanks to the evolution of niche ERP systems, small firms CAN get the type of functionality that used to be available only to firms with deep pockets. In fact, it’s now quite easy to implement an ERP system that not only addresses the accounting function, but also facilitates the firm’s core processes and way of doing business. My colleague next mentioned how his firm actually had strong AR, and good visibility into its cash and cash management. The problem, he said, was that the organization lacked the visibility needed to help back office management play a more significant role in decisions affecting the firm as a whole. By the same token, it was difficult to get project managers more involved in the fiscal responsibility that goes with managing client expectations. I then suggested we establish a value proposition for the level of investment that would be needed at this critical juncture in the firm’s transition from QuickBooks. This is where my prospect’s eyes started to get big, as he saw how much time, factored by associated hourly costs, was being spent on efforts that an ERP system could automate. We assessed values for each of the existing manual processes, and compared them with the reduced time and effort involved using the ERP approach. The resulting savings would go right to the firm’s bottom line. But as significant as those savings would be, I added, the real impact would come from the improved quality of the work environment, better communication with clients, and most importantly, increased opportunities for success. See how today’s success-minded firms require a laser-like focus on strong project and financial management practices by downloading the whitepaper on Growth and Transition Strategies.